Congratulations – you got engaged ! Now you have the fun task of choosing a wedding band that will literally keep your dance floor heaving. You’ve found your perfect match! 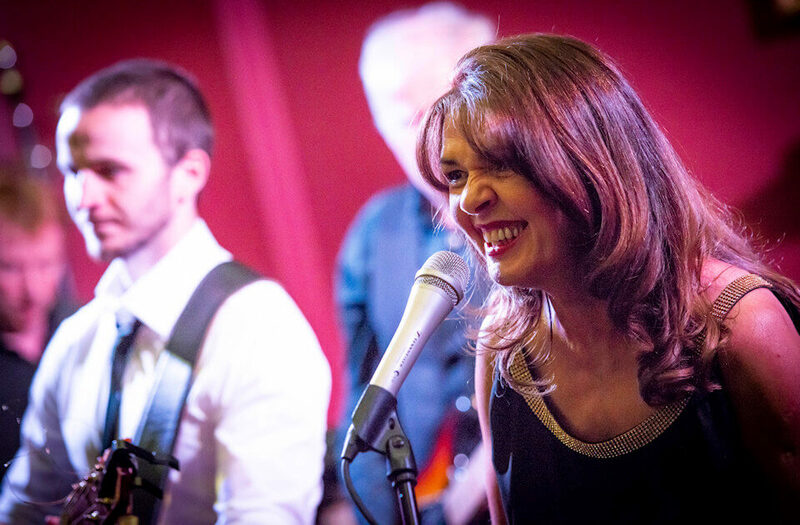 Welcome to Perfect Day – one of the most in demand and best live wedding bands in Dublin and across Ireland. 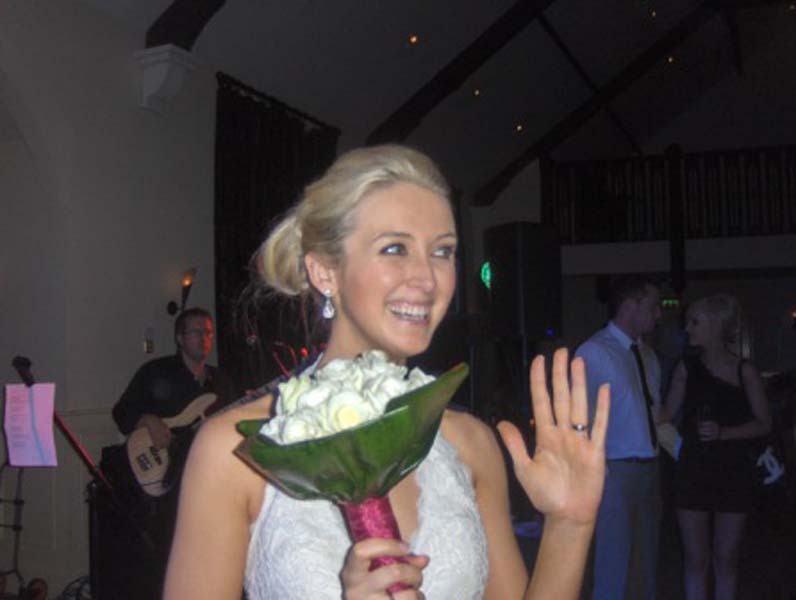 Perfect Day are Irelands top wedding band with a playlist our couples have enjoyed from Dublin to Donegal. We are multi award winners for good reason. 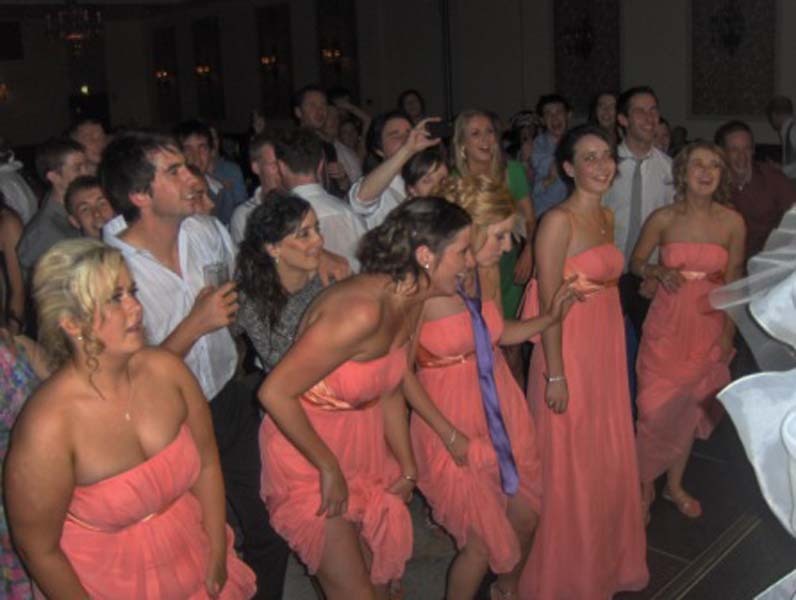 We know how weddings in Ireland work, we absolutely LOVE what we do, and we can ‘read’ a dance floor like no-one else. 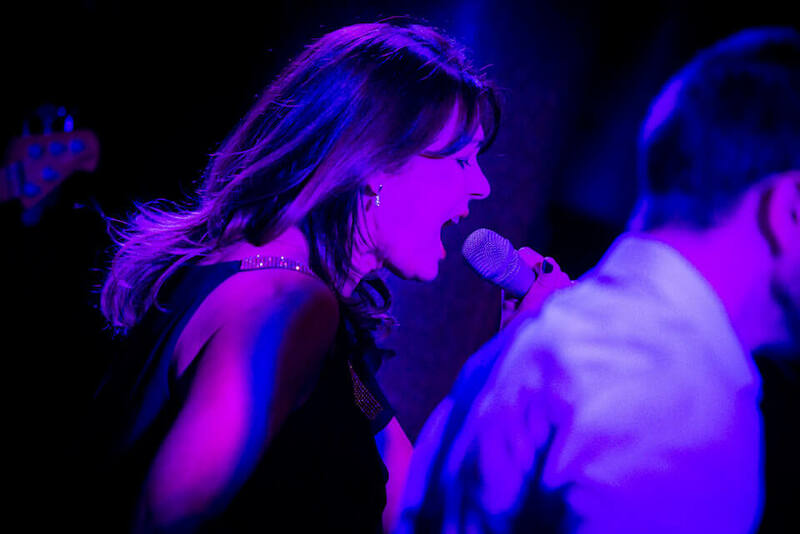 We have not one but TWO outstanding lead vocalists – male and female. 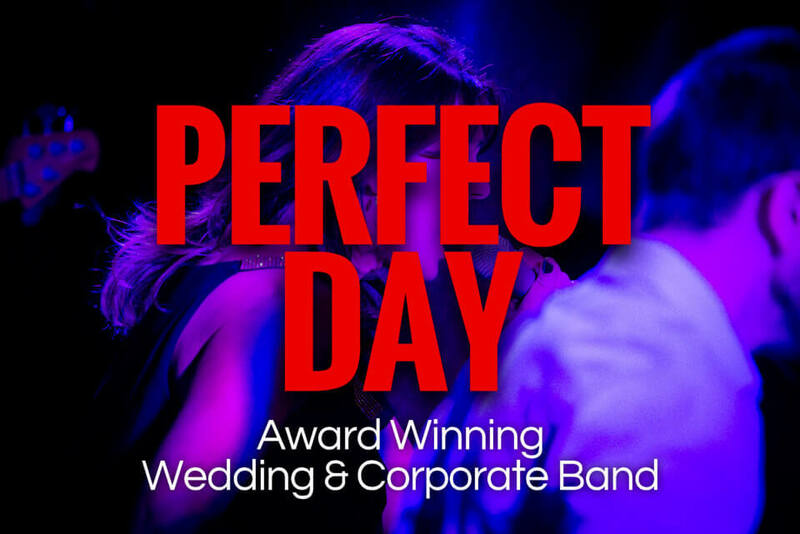 Of all the Irish Wedding Bands out there, Perfect Day are one of the only wedding bands who can tailor a playlist to your wedding….and that’s because we work closely with you from the moment of booking, to guarantee you have the absolute best day of your life. We are upbeat, contemporary and know our business inside out – AND we love what we do! 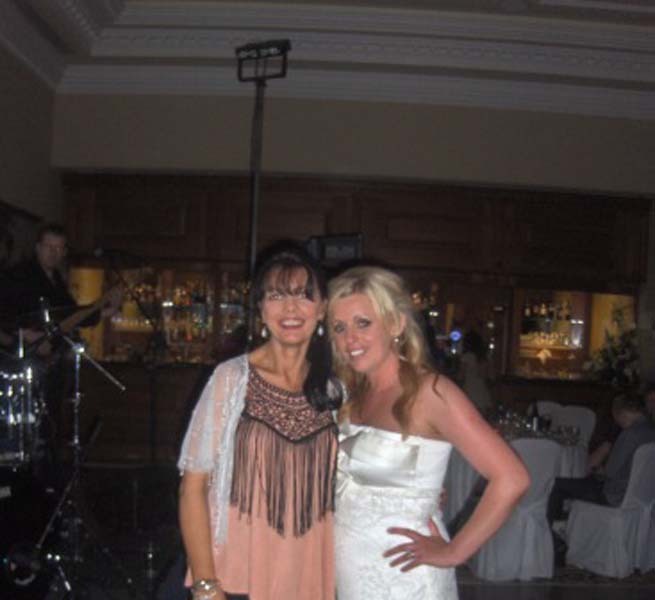 We also have had the privilege of playing at the weddings of Michael O’Leary (Ryanair), Shane Filan (Westlife), Tom Dunne (Newstalk), two of Albert Reynolds (ex Taoiseach) daughters and many more – we are the band the top wedding planners and event organisers call on first. * This is a FREE service, there are absolutely no fees, commissions, hidden charges or otherwise, and Perfect Day Wedding Band will respond directly to you. We respect your privacy, you are not signing up for a newsletter or spam, and your enquiry goes only to Perfect Day Wedding Band. Perfect Day Band shared a post. Great pics Couple Photography of two gorgeous people. 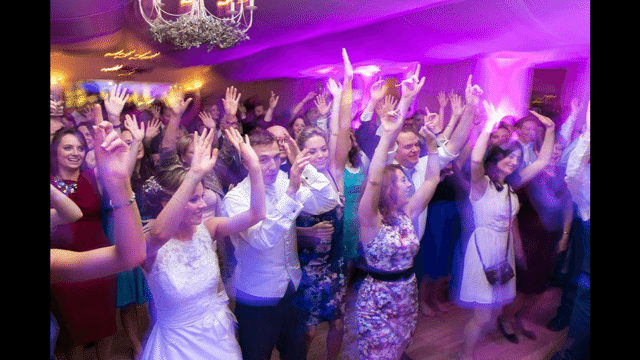 Loved playing for them #Rathsallagh House #weddingbandireland❤️Hotties❤️, Anita & Eoin, who got married Rathsallagh House Hotel just recently. See their story here. 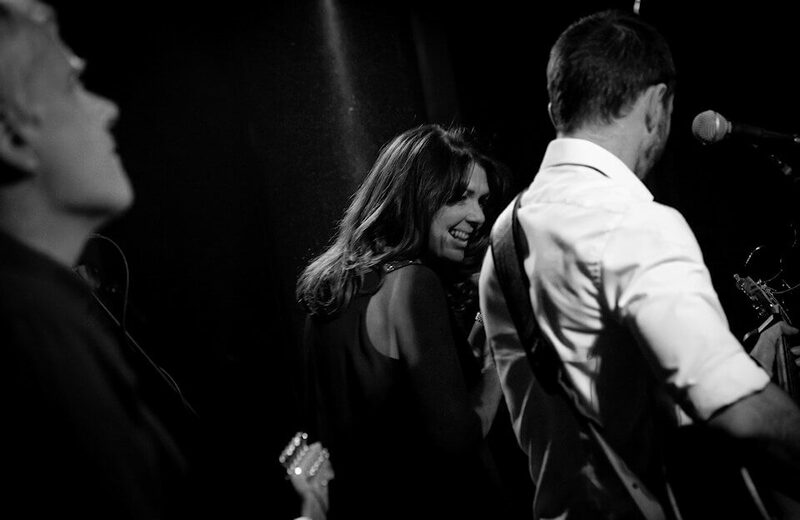 Perfect Day Band shared a photo. Quick note to say huge thank you for making our wedding day so amazing. All the guests were raving about you, the dance floor was always packed and I really appreciated the fuss you made of Harry playing the drums - he loved it. Thank you to all the members of the band for the music throughout the day. The ceremony music was amazing and really special. We hardly left the floor all night. Our guests all wanted to know your bands name. And the rave at 2am was unexpected but fantastic. Smiles and laughing all round! 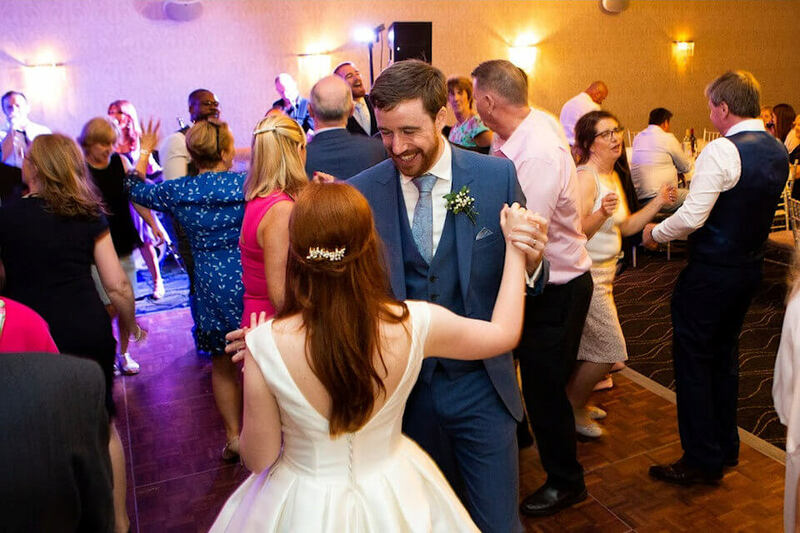 It has taken a while for us to settle back into life here in Sydney and get around to this but we just wanted to thank you once again for the joy and entertainment you brought to our wedding day. 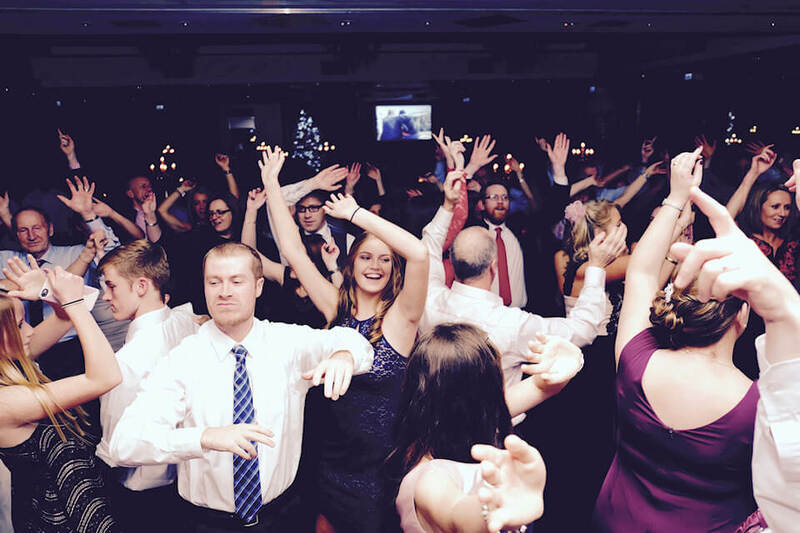 The dancefloor was full from the first to the last song. The mix and standard of music and singing was outstanding. I think that for Mumford and Sons, Little Lion Man the whole building was shaking! I know that I went through three shirts on the night from pure revelling in the music. All through the planning process you were an absolute joy to deal with and we were both thrilled with our choice of Perfect Day. 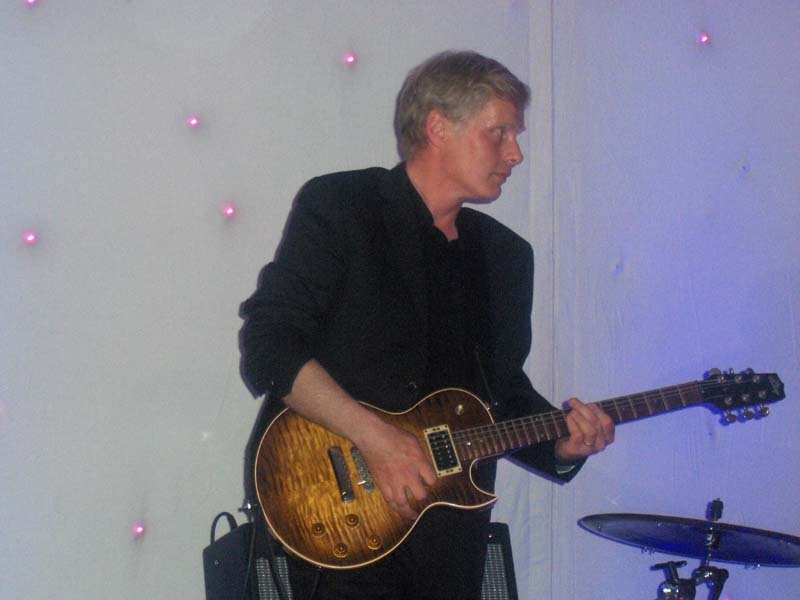 I would recommend you for any event without hesititation. Thank you for being part of our day and we wish you a tremendous Christmas. Hey lads, sorry this took so long to post but we are still recovering, after landing in Thailand and still on a high, ye were bloody AMAZING. Everybody is still raving about ye. We didn't make it easy for ye with a wedding of 40 guests but ye made it look like a walk in the park. Right from the ceremony with Kevin going solo and acoustic, pulled off Metallica for dee coming down the aisle like the pro he is, (stunned the guests), it was perfect, exactly wat we wanted and more. 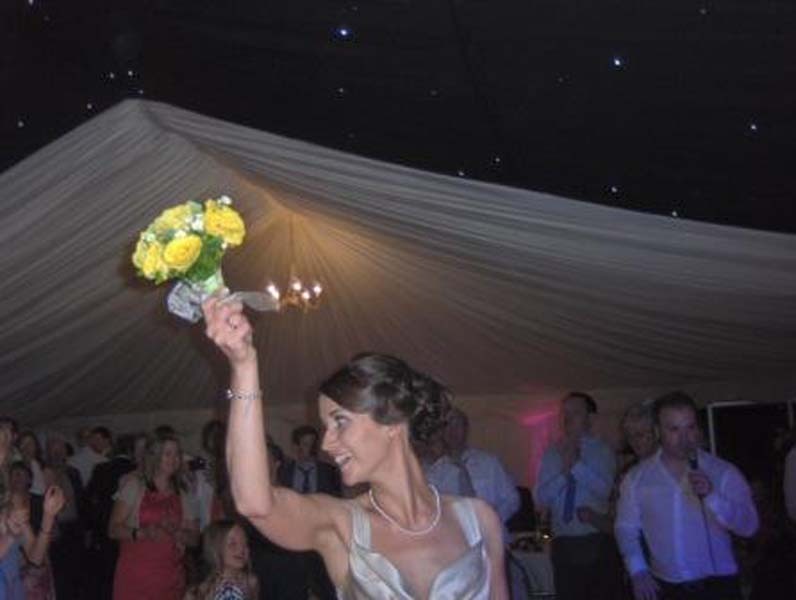 As for back at the hotel,, Catherine your a butter, you spent as much time on the dance floor as we did ? 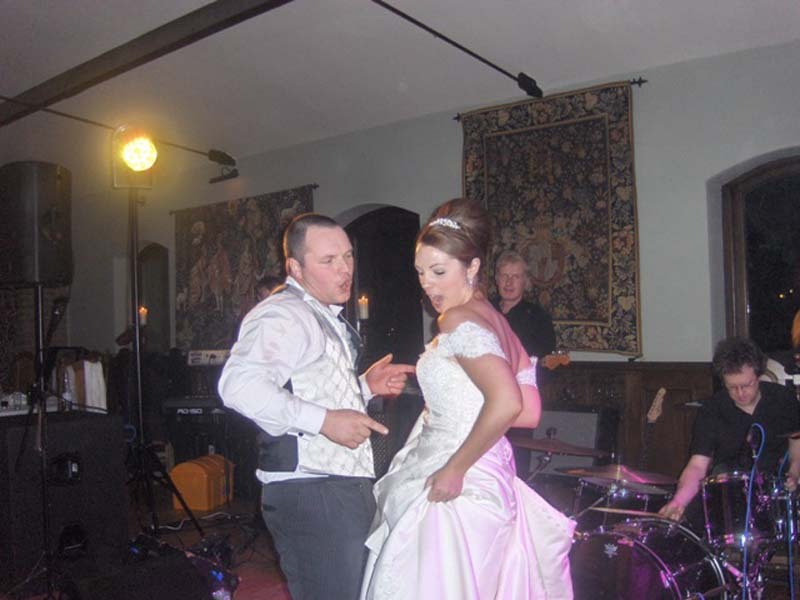 rocking the place, our first dance, George Ezra, Paradise, ye had it off to a tee. Myself and Dee honestly can't thank ye enough for giving us all such an amazing wedding, we had some very strange requests for ye and ye 100% delivered everything and bags more on top. Everyone one of ye in the band just rocked all night long . now to the dj. All i can say is the dance floor in Galaxy still shaking ?. Genius, my neck is still in bits from all the ACDC, fair play dude. Once again lads THANK EVERYONE OF YE SO MUCH.... P.s get out of Dublin more, the rest of the Country deserves to see ye. All the best.. Paul and Dee..
Meant to email you last week but it was just so hectic and we just landed back in Melbourne this morning! Just wanted to say a MASSIVE thank you to yourself, Kevin, Eoghan and the rest of the band for a brilliant day last Saturday! From the beginning you made everything so easy for us! Kevin's voice in the church was amazing!! You and the band were just brilliant, the dance floor was literally full all night as promised and we've had so many friends ask about yous. Yous were that good you even got Collie dancing to Galway Girl 😂! Hope you enjoyed the night as much as we did, we could do it all over again!! Catherine.... my god you guys were amazing!! Thank you so much for everything. The band were fantastic the cocktail hour music was great and thank you for letting our friend sing a few tunes ! No one left the dance floor and were raving about how amazing you were!!! My feet and legs are still sore! Hope your journey back to Dublin wasn't too bad. Just back to Canada now and wanted to take the opportunity to send you a little note to Thank you so much for such a lovely evening! I really enjoyed you guys! We also received many compliments on how great you were. Sorry I didn’t get to see you off! I hope you had a safe trip back to Dublin. Thank you also for being so accommodating and great to deal with from across the pond. Hi Catherine, Thank you so so much for everything last night. I’m sorry I didn’t get to say goodbye. We had an absolute ball. I’ll send you an email when we’re back from honeymoon but just to let you know we loved Perfect Day and our guests simply adored you! We got so many great comments. The dancefloor was full the entire night. Well done and pass on our thanks to the band. Thank you. Everyone raved about the music! Apologies I have not been on to you sooner, just back from honeymoon and finally starting to come back to reality. I just wanted to contact you to thank you and the whole band for making our wedding day so special. 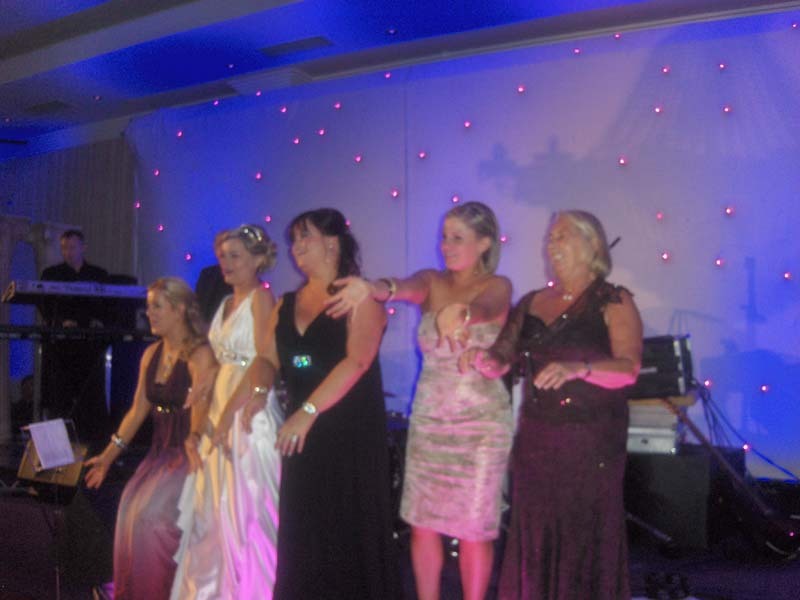 The music was absolutely fabulous and everyone had an amazing evening. Thank you so so much and we both thought the first dance sounded perfect, so much better than playing the original. I will be highly recommending perfect day to others…. Super!